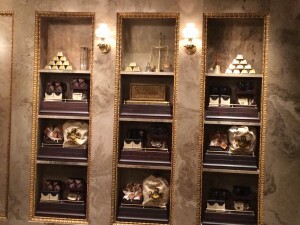 Gringotts Money Exchange in Diagon Alley offers Muggles the opportunity to exchange their Muggle currency for Gringotts Bank Notes that can be used throughout the Wizarding World of Harry Potter (Hogsmeade and Diagon Alley). 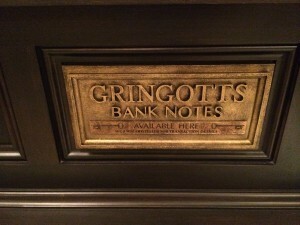 These commemorative Bank Notes can be used just like Muggle currency (cash) or you can keep them as souvenirs from your visit to the Wizarding World. 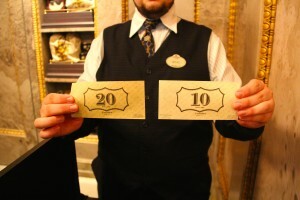 They are available in ten and twenty dollar denominations. Gringotts Money Exchange can be found in Diagon Alley as a separate location from the Gringotts Bank. 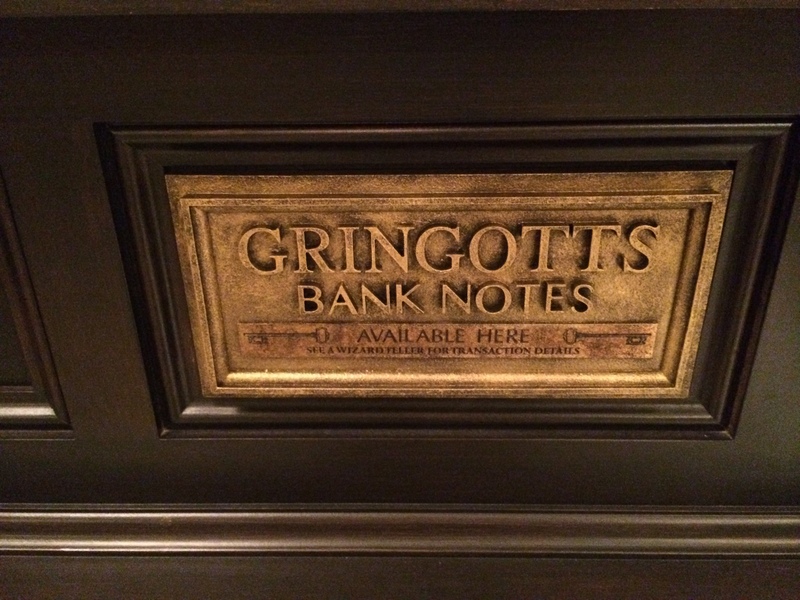 Do not go into Gringotts Bank expecting to exchange your Muggle currency. 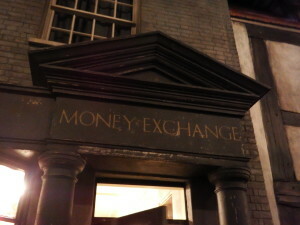 You will be redirected to the Money Exchange, next to Wiseacres. 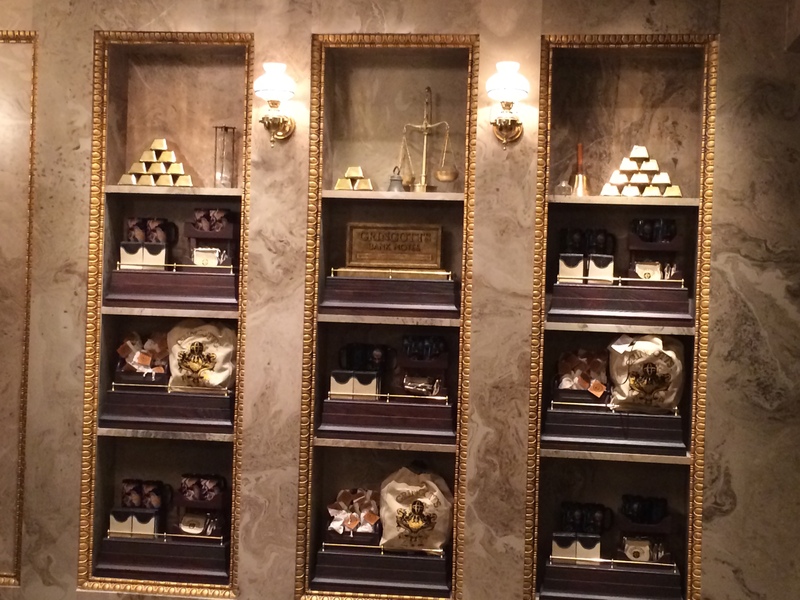 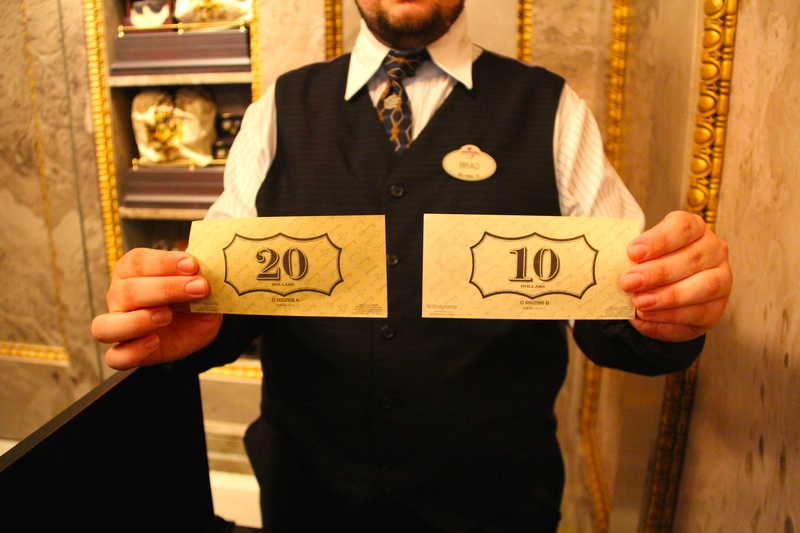 Additionally, the Gringotts Money Exchange has various Gringotts souvenirs, only available in the Money Exchange, including Gringotts wallets for your bank notes, chocolate gold coin candy, and Gringotts bank bags.